Nashville Record Productions was the first independent mastering studio in Nashville, and is still the premier mastering studio of choice. Though the technology has long faded, our company has been able to maintain 4 operating lathes. They include a completely restored 1955 Scully lathe that was originally owned by King Records and a Neumann VMS70 with an SP79 Mastering Console. Mastering is both the last stage of production and the first stage of manufacturing. It is the last chance to alter the sonic presentation and is where the various parts of an album are brought together into a cohesive whole. It is also commonly defined as the balancing of audio – both spectrally and dynamically – to fit the specific medium that the project is being prepared for. Why is this process important? In the 1930’s two scientists at Bell Labs named Harvey Fletcher and Wilden Munson came to the conclusion that the way humans hear specific frequencies is in fact much more complicated than anyone had previously thought. 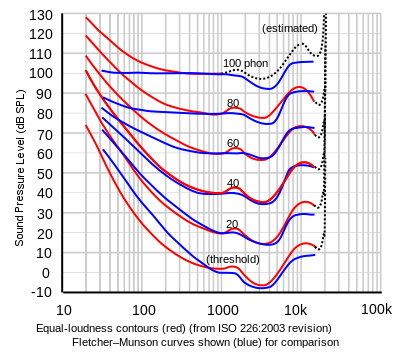 They developed the Fletcher Munson Curve, which helps us to see how frequencies are perceived. Humans do not hear the entire frequency range at the same loudness level. Furthermore; as amplitude changes, so does our ears response to the frequency spectrum. 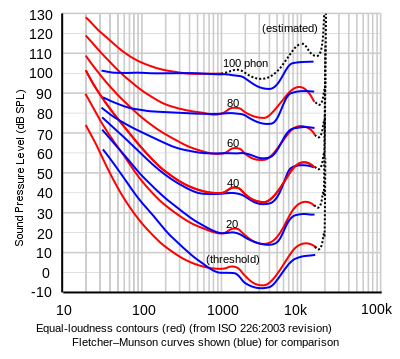 In other words, certain parts of the frequency spectrum (lows, mids, highs) may seem louder to us than others, and when amplitude (volume) increases or decreases our ears hear these frequencies at different loudness levels. For example; as you turn your system louder, bass and treble sounds will increase while the mid-range frequencies will begin to get drown out. Have you ever heard a record that sounds too dark and muddy? How about one that is overly bright and / or too loud? Those are examples of records that were “mastered” without natural human hearing in mind. The majority of listeners have a subliminal expectation of what music “sounds” like. We pay close attention to these principles at NRP, providing the highest quality work that is able to be enjoyed on a variety of systems. It is the mark of a great master. We have always been focused on providing service for multiple formats, from the days of analog to today’s high resolution music mixes. We can make either a Vinyl or Redbook master from any format 1/4″ to hi-res digital. Our state-of-the-art conversion systems ensure that your work stays true to its original sound, no matter what format it ends up on. We have continued the vinyl mastering tradition since we opened in 1964. Formats come and go, but vinyl has been a persistent medium in music culture. We take pride in being the only place you can get a vinyl master in Nashville today.